How many of you have co-signed a loan for someone? Or just straight believed in someone’s dream or product and were willing to vouch/endorse them? There are so many millennials putting in the work to build a dope legacy. One person, in particular, we’d like to cosign for is Kurtis Graham, aka KG, the CEO/Founder of Cosign Magazine. The Cosign platform was designed to highlight entrepreneurs and creatives, and in return, these individuals would connect, cosign and endorse one another. Kurtis has both the talent and proven track record which became the basis of his profitable business. He focused on a specific target market and brainstormed ideas for services other brands would be interested in. Cosign Magazine covers culture, entrepreneurship, fashion, fitness, food, music, sports, technology, and art. 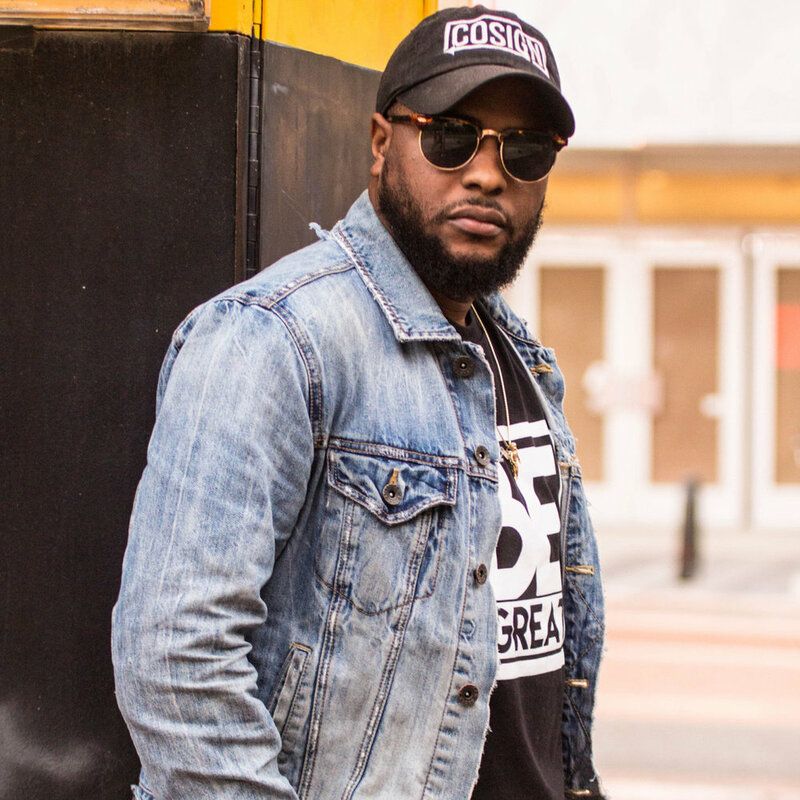 One of the biggest reasons we chose K.G to be a Milli Mogul is because not only is his online branding presence on point, but he is running an online magazine, and still finds the time to manage a digital marketing and media service called Cosign Media Group, and provides master classes for entrepreneurs to top it off. All of that is what we call a millennial making serious money moves. TMB: What has been one lesson you’ve learned the hard way? To make sure you do your research. I had some experience, but not full… It’s part of a process of growing and figuring things out. TMB: What’s one thing you’ve done just because you were told you couldn’t? Be a jack of all trades—I was told to focus on one thing. I try to do as much as possible. I write my own articles and even bought a MAC laptop to edit my own stuff. TMB: What are some of your proudest moments throughout your branding journey? One was recent; We were hired to market and digitally campaign (Hennesyweare) for Black entrepreneurs and creatives. We took over the Dallas portion, which ended with a private dinner sponsored by Hennessey. TMB: Do you ever get burnt out? How do you deal with it? All the time honestly. I just take a trip and get re-inspired. I love Los Angeles--it inspires me. I go M.I.A. on social platforms for a few days when I don’t feel creative. Take a break and refocus. Put stuff on pause then regain momentum. TMB: Can you name a person who has had a tremendous impact on you as a leader? Maybe someone who has been a mentor to you? Why and how did this person impact your life? I never had a mentor, but my cousin KD has been instrumental in my upbringing. When I turned 18 I moved to Dallas, and at 19 I got into some trouble. But he showed me how to hustle. He has a jewelry business. If I didn’t sell grill I couldn’t eat. He taught me what to do with my money. He was showing me but didn’t know he was mentoring me. Told me the power of networking. Buy people drinks and start conversations. Even to this day, he’ll help me out when I don’t know what to do. That’s love, I appreciate it. TMB: As a father, what legacy and message do you hope to leave behind for your daughter? I just want to teach her hard work and loyalty. People these days aren’t loyal they just hop onto the best situation. Be loyal to friends, family and to herself. If you really want something be loyal and work diligently til you get it. Our (her mother & I) parents are both immigrants, and I really want her to appreciate everything because I didn't have these opportunities. TMB: What is the #COSIGNLife? 2 facets: 1st is hard work, late nights, early mornings, no plan b… Having a hustle mentality—you want it go get it. 2nd is the pay it forward approach. Stamps of approval and endorsements… Not being selfish and focusing just on yourself. While living the late nights of hustling, I’m also bringing other people up. TMB: What differentiates your business/brand from the competition? I would say a lot of times other companies are self-focused. Our whole structure is highlighting and supporting others. Everything we do isn’t about us—it’s about others and cosigning them. Our blueprint summit is about giving our community the blueprint to success. TMB: How far do you picture taking the COSIGN Media brand? Global media empire. Just like people say ABC & FOX, they gonna say COSIGN one day. Docs, film, TV, agencies... it’s gonna be household brand. 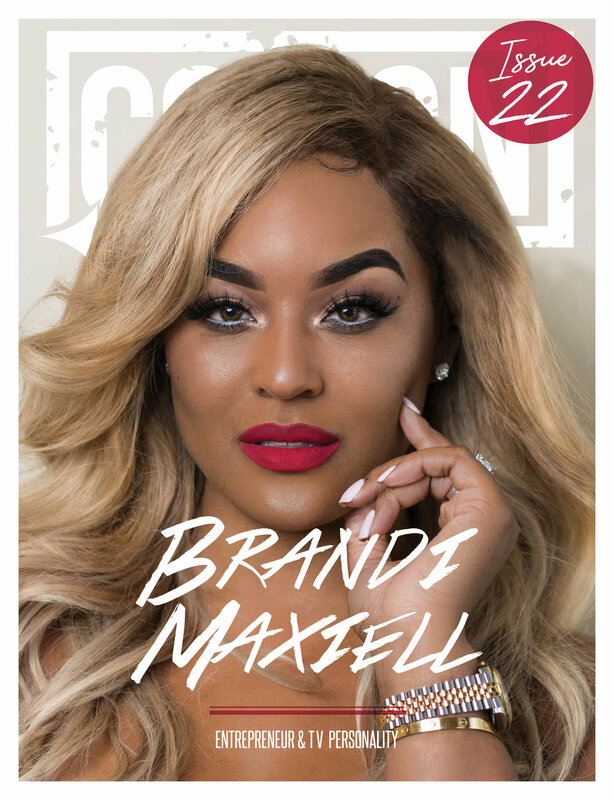 TMB: We noticed you’ve recently worked with people such as Danileigh and even got Karen Civil to grace the cover of COSIGN Magazine! What has it felt like working with some of your favorite celebrities? It’s eye opening. I first met Karen in LA. She was cool, but very stern. When I met her the 2nd time and we kicked it, I had grown. She taught me to know what I want and learn little nuances—like that one—from the people you look up to. TMB: What are some challenges you face in building your brand? Trying to remain consistent through the ups and downs and not really live off the win. I try not to live off of wins—but I got to keep winning. What do you hope to build through the COSIGN Awards Dinner & Gala? I want that to be as prestigious as attending the Grammy’s or the Oscars. I know awards don’t validate people, but I want them to be excited to be recognized from their peers. Just being recognized by your community is a big deal. We’re taking it nationally. Grammy for entrepreneurs. TMB: If we're sitting here a year from now celebrating what a great year it's been for you in this role, what did you achieve? COSIGN’s million dollar mark. I’ll pop a couple of bottles make it rain. I need that milli. TMB: If you had a list of best-kept secrets [websites, books, influencers, etc…] you’d recommend to anyone following in your footsteps, what would they be and why? All the information is already out there. Spend more time researching reading and learning that way when you're ready to execute. I would spend more time on that than trying to find a mentor. Earn as much about your field, industry and execute. You don’t need anybody's validation or assistance. This mission statement resonates with us because this is what the Milli Mogul platform is based on. We admire what KG represents in our millennial community—he is doing an amazing job creating opportunities for people who are already in his circle and beyond.